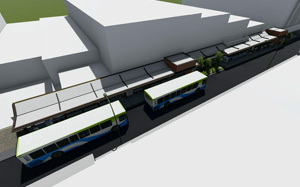 Townsville City Council in partnership with State Government will be delivering a new Townsville City Bus Station. The Station will be situated in Ogden and Hanran Streets and will allow Sunbus services to pass through a single arrival and departure point in the CBD. The bus station will provide bus passenger set down and pick up in close proximity to Flinders Street, Ross Creek, future waterfront redevelopments and the new stadium. 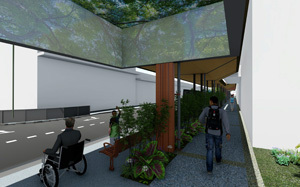 The project is partly funded by the Department of Transport and Main Roads, with Townsville City Council managing the design and construction of the Townsville City Bus Station. Works are expected to commence on site in August 2018 and continue through to early 2019. When complete, the Townsville City Bus Station will provide a safe central transport node and active areas in Ogden Street and the adjoining area. 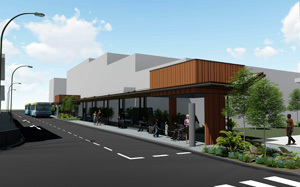 Stakeholder and community engagement activities throughout the building of the Townsville City Bus Station are being managed by the contractor Mendi Constructions.